We’re hearing about more and more applications of AI-driven facial recognition systems, from checking identities at the airport to verifying board members for meetings. Taking things a step further, The Times reported recently that the Chinese city of Xinjiang has given its law enforcement officers Google Glass-like headsets equipped with facial recognition scanners to help them to identify criminals. Meanwhile, Berlin is testing terrorist-spotting facial recognition cameras. 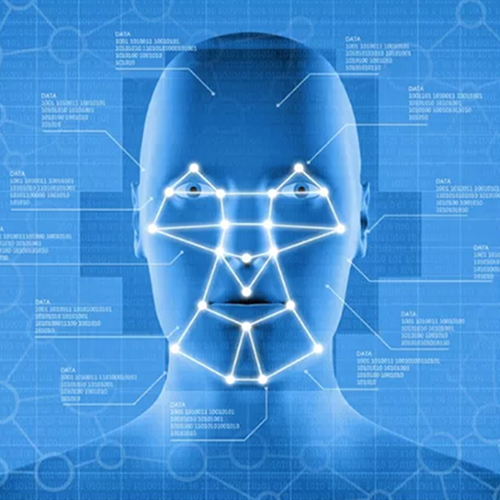 Beyond security, the latest uses of facial recognition include scanning unborn babies to diagnose rare diseases and common genetic disorders. It’s also helping reduce traffic accidents by spotting driver fatigue and prosecute jaywalkers. But that is just the tip of the computer vision iceberg. Current applications are using AI to identify individuals, but it’s possible to take the technology a lot further. Trials are going on right now that are applying deep learning to recognising human emotions. This major leap in facial recognition is driven by technology that understands every multi-layered element within images and videos in the same way humans do, allowing it to analyse and recognise images and faces in video content with up to 98% accuracy – and 1,000 times faster than the human brain. Such visual intelligence also means it can monitor facial micro-expressions, analysing pupil dilation, eye movement and gaze. By combining this with speech pattern and tone of voice analysis, it can identify seven key human emotions – Anger, Contempt, Fear, Disgust, Happiness, Sadness and Surprise. By simply scanning someone’s face live or on video, in real time, it can not only identify a person but also assess their emotional state more deeply than any human can. Rather than simply spotting whether someone is happy or sad, it can gauge integrity – essentially, whether someone is telling the truth or not. Or rather the likelihood that they could be lying. This takes facial recognition to a whole new level in terms of deceit detection. The potential of such a level of sophistication, with the emotional nuances it can identify, has clear implications for law enforcement and the ability, if responsibly managed, to create a safer society, looking out for the good guys and catching the bad. In fact, it should cut crime through deterrent alone. However, the technology also has lots of potential applications outside of crime that could actually transform business. Take insurance, for example. Fraudulent claims are costing the sector dearly. Last year, some 125,000 claims were detected in the UK alone worth £1.3 billion, according to research by the Association of British Insurers. Moreover, it is estimated that a similar amount of fraud goes undetected each year. Hence it’s no surprise that insurers in the UK, which boasts the fourth largest underwriter community in the world, invest at least £200 million annually to identify fraudsters. The latest computer vision technology applied to insurance claimants will be a vital additional node of information for insurers in their fight to reduce fraud, with the power to transform the way claims are processed by assessing their validity more scientifically and accurately than ever before. During a live video interview, for example, it could provide claims assessors with a ranking in terms of the likelihood that a claimant is being truthful. The figure would give an indication of whether the claim should be investigated further. As well as helping detect fraudsters, it could also be used to reward integrity through lower premiums. The fact is you simply can’t put a price on integrity. Well, actually in insurance terms you might say you could, as being able to detect it could be worth billions! The thing is integrity is important in all walks of life and business. Doesn’t every company want to employ people with integrity? Being able to gauge it could not only improve recruitment success, but also, as a direct result, business performance. And of course we’re just scratching the surface here. Soon it might be possible to use computer vision to detect nuances of personality that could take over from biometric testing. And who knows where we could go from there? The fledgling elements of this technology are here right now. All innovation has its potential upsides and downsides. Used responsibly, computer vision has the potential to transform our personal and professional lives for the better.